Facial serums can be confusing. They’re the kind of product that not many people know how or when to apply, but when used (and used correctly)…well, you’ll wonder how you ever lived without them. But if you’ve never tried a serum before (or you’re looking for a change), how do you know which one will work best for you? Seems like a bit of a tough task, right? Well, it would be if you didn’t have beautyheaven members to rely on for some grade-A reviews. The hard-working serum helps tone and refine skin, leaving it looking younger in just seven days! It’ll plump your skin, soften fine lines, and add an instant glow – all while ensuring your skin is nourished and hydrated. An amino-peptide complex helps to plump, firm, and shape your skin, while hyaluronic acid, pro-vitamin B5, vitamin E and green tea help keep skin hydrated. RELATED: Is your neck giving away your age? The budget-friendly serum reduces fine lines and wrinkles by encouraging the skin’s natural repair process. Plus, it smells great on your skin! The vegan and cruelty-free serum protects skin from free radicals, keeps skin smooth, plump, and hydrated, and helps reduce the appearance of fine lines and wrinkles. The serum is made from 100 per cent pure organic rosehip oil to help prevent and fight ageing, treat scars and damaged skin, and relieve dry skin. Idenenone, a powerful antioxidant, works to prevent the visible signs of ageing. The serum also addresses fine lines, wrinkles, age spots, and discolorations. Created after 12 years of research, the serum will help minimise the appearance of wrinkles, tighten and reduce pores, and even out your skin tone. The high-performance anti-ageing serums helps reduce the effects of damage caused by smoke, pollution, stress, while preventing future damage. Omega 3,6, and 9 all help fight the appearance of wrinkles and scars, and improve skin suppleness and elasticity. Do you use any facial serums? Which is your Holy Grail anti-ageing product? I am a big fan of the Trilogy Rosehip Oil. I've tried a few of the Estee Lauder Advanced Night Repair- (sample-bottles) I haven't noticed anything with this product. I’m playing around with CO2 extract at the moment. At least these are cheaper than Vintner's Daughter! I’d love to try the A'kin serum but I’m allergic to calendula! Can’t go past the stayer EL's ANR! I buy all my beauty products on Amazon, and I have tried almost all the firming serums. The best one I found (and I am sticking with) is the Made from Earth Vitamin Firming Serum. 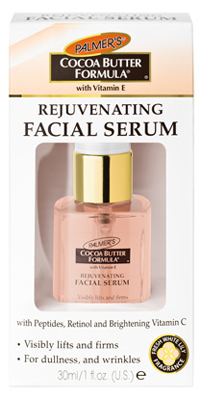 I started using this serum because it is approved by "Good Housekeeping" and it is reasonably priced. They do not automatically keep sending you products like so many companies do online. When you put the serum on, it does feel like it tightens your skin right away. It is helping my skin on my face, throat and chest. There are plenty of anti-aging solutions that can manage the aging issues significantly. Likewise, eating anti-aging foods and some lifestyle management can reverse the aging effects significantly. Yoga is considered as one of the best thing that can reverse the aging effects significantly at home. There are several poses that can boost the blood circulation and provide the essential nutrition to various cells. I have found an article entitled " 21 Yoga Poses for Anti Aging – Yoga Turns the Clock Back" at zovon. I use the ordinary and i love it! Botani is the only one I have tried and I do like it! I will try some of these products as well! Usually products make my skin oily or make me break out. So I rarely find something that works for wrinkles and works for my oily / combination skin. Ive been using a Neostrata serum for months and its lovely. I use that in the mornings and avocado oil at night for that extra hydration. I am currently using the Palmer's product now that we have some cooler weather. Nice and affordable too. 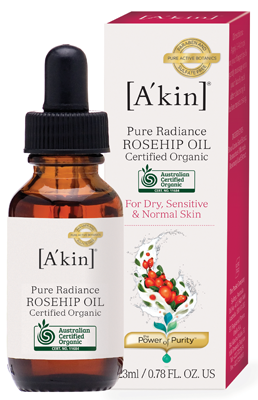 I have A’kin Pure Radiance Radiance Rosehip Oil in my stash ready to use next after I finish up the Palmer's product. I love the Estee Lauder Complex II. If only it wasn't so expensive! Some great serums being mentioned here, but i agree that face oils are no serum. The Estée Lauder Advanced Night Repair Synchronized Recovery Complex was one of the best serums I have used. It literally does the work by reducing my scars and evening out my skintone. The serum itself is not sticky and goes on smoothly on my face and neck! I’ve just started using an Olay product that I’m pretty happy with so I’m more likely to keep using Olay products but I have heard really good things about rose hip oil. I have used almost all oil based serum and olay and ANR serums, oils do best for my skin. 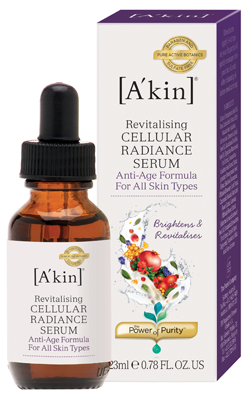 I'd like to try the A'kin cellular radiance serum, i tried their rosehip oil and it was lovely. Currently trying my first ever bottle of Estee Lauder's ANR and I'm loving it so far! Thanks for the reviews. Nice to see a article on the most reviewed ones. 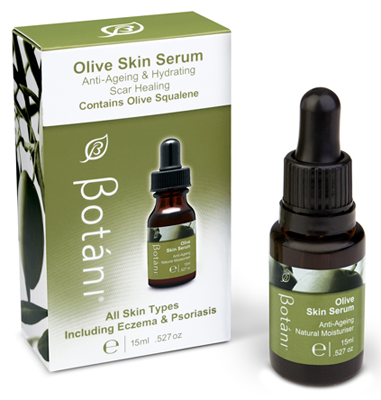 So many anti-ageing serums out on the market nice to see it narrowed down. I've tried a few of the mentioned products. I use a serum morning and night because they really help my skin.